A spirited lady facing spinsterhood. A common man with a noble mission. And a surprise that just might be waiting for them under the mistletoe. . . 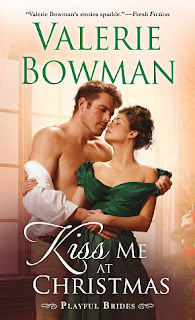 Thoughts on Kiss Me at Christmas: This is my first foray into the Playful Brides series and, well, I liked it. I might have gotten a teeny bit more out of the interactions between the background characters if I'd read the previous books, but I kept up. For the most part, at least. That said, seeing as how this is book 10, there's a pretty big cast of supporting characters and it took a little brainpower to keep them straight. Again, though, it wasn't insurmountable. So. Lady Regina and Mr. Daffin Oakleaf. On paper, they don't necessarily sound like a perfect match, but they kinda are. She's determined to do things her way (up to a point) and he's pretty much the epitome of a successful rebel. While Regina want to spend at least one night with someone of her choosing and she takes steps to make that happen, she's also resigned to the fate she sees looming on the horizon. Frankly, she's not enthused with the prospect her uncle has chosen for her. Especially not once she begins spending even more time with Daffin. On his end, Daffin is attracted to Regina, but he doesn't think anything can come of it. It takes a pinch of danger and the risk of nearly losing the woman he's come to admire before he dares to take the leap and go all in. 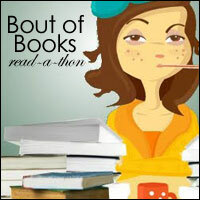 Danger, intrigue and a wide cast of characters to keep things moving, I was thoroughly entertained. I'm Kelly. I read incessantly. Tweet occasionally. Love werewolves. Stalk vampires. Have a soft spot for demons. 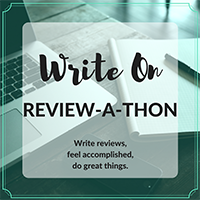 I review anything from paranormal romance to urban fantasy to historical romance to sci-fi to young adult to new adult to erotica. My tastes are many and varied. The label/tags search option has now been moved to its own page. Hours of fun, clothing optional! 2019 Kelly Rubidoux/Reading the Paranormal. Simple theme. Powered by Blogger.